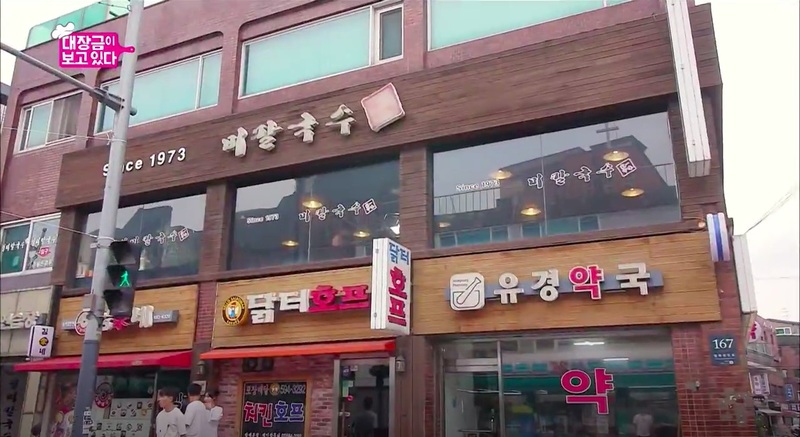 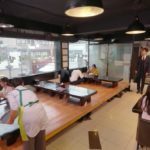 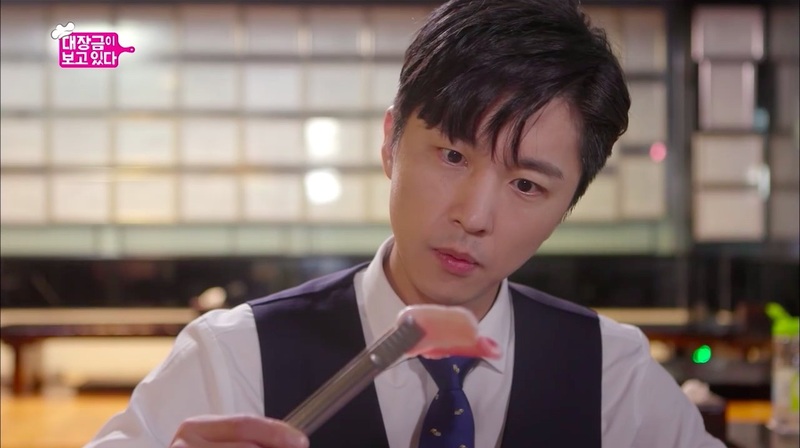 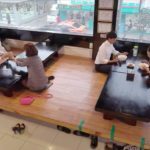 After narrowly saving an almost disastrous business situation, Han San-hae (Shin Dong-wook) decides to bring newbie Bok Seung-ah (Kwon Yu-ri of Girls’ Generation) to this restaurant — which is on his bucket list — in episode 2 (full episode 1) of Dae Jang Geum Is Watching / The Great Jang-geum Is Watching / Jang Geum, Oh My Grandma (대장금이 보고 있다) (MBC, 2018-19). 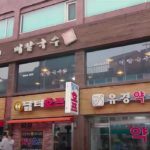 Instead of ordering the noodles, San-hae orders the frozen pork belly (said to be a special menu item) followed by the ‘palace’ kalguksu — and the eating begins. 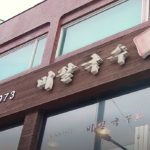 Ilmi Kalguksu [일미칼국수] is a kalguksu (knife-cut noodles) eatery that has been operating since 1973. 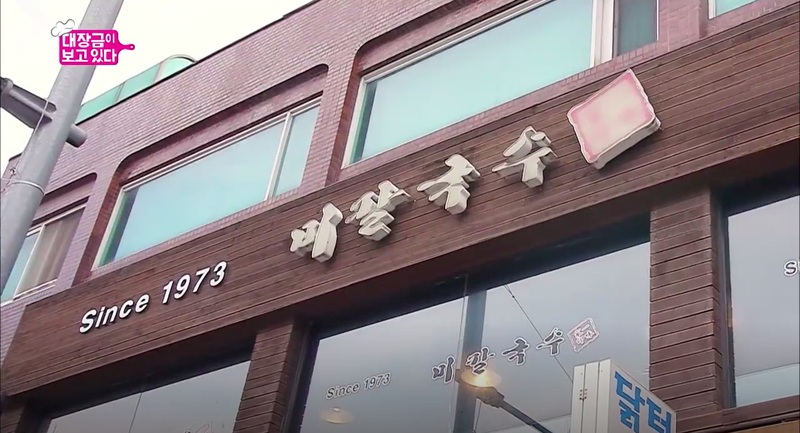 It is located in Seoul’s neighborhood of Bangbae [Bangbae-dong/방배동] in the Seocho District [Seocho-gu/서초구].